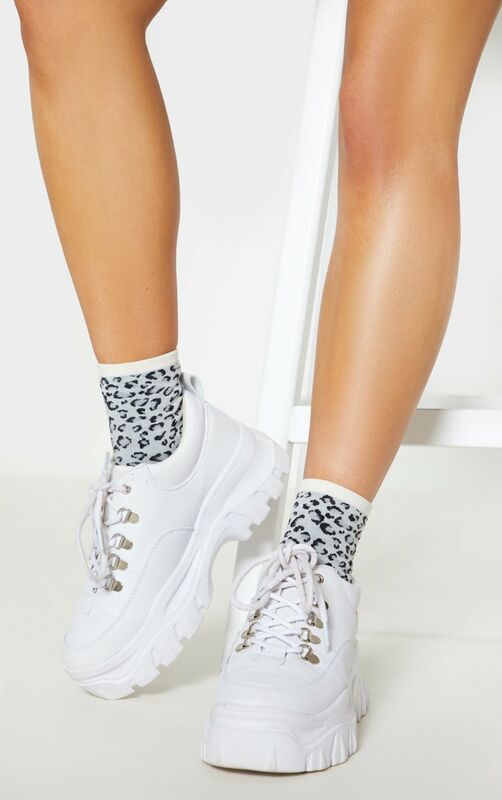 Treat your feet with these totally cute socks. Featuring a grey leopard print design, we are totally obsessed. Wear these out and about or style them with your nightwear.